Sharing special moments in your own backyard is easy with the PZT-325-G Patio Double Glider from CorLiving. Made with durable powder-coated steel and UV resistant materials, this product looks great and is ready to withstand the elements of the outdoors. With only simple assembly needed upon delivery, means you can create your elegant patio setting in your own backyard. 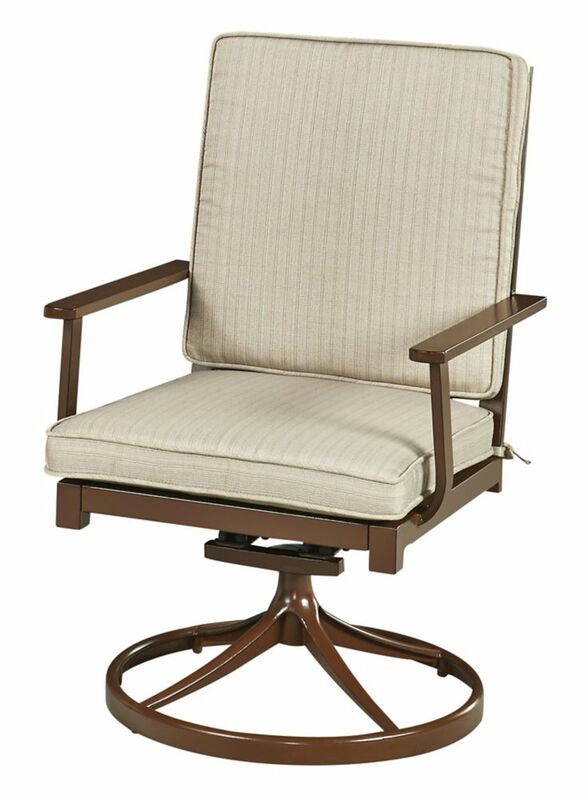 Relax in style and sophistication, and enjoy the outdoors with the Beacon Park Dining Rocking Chair. A sturdy, yet durable frame supports intricately woven, wicker, and features a plush olefin seat and back cushion. Wide, curved armrests and the gentle rocking ensure maximum comfort you won't want to give up. Use as a standalone piece, or include other Beacon Park furniture elements to create the perfect look. Relax in style and sophistication, and enjoy the outdoors with the Beacon Park Swivel Glider. A sturdy, yet durable frame supports intricately woven, wicker, and features a plush olefin seat and back cushion. Wide, curved armrests and the gentle gliding motion ensure maximum comfort you won't want to give up. Use as a standalone piece, or include other Beacon Park furniture elements to create the perfect look. Imagine enjoying the gently soothing rocking motions of this lovely Spring Haven Collection Wicker Patio Rocking Chair as you bask in the balmy weather of a summer's day. This chair combines classic curves and design with bold, modern colours to create a beautiful piece to your outdoor set. The cushion is cozy and he frame is made of all-weather resin wicker with a powder-coated steel frame.